If you’re anything like me, you can understand the importance of a good headband. My hair has a mind of it’s own and it sometimes takes more than just a little (ok…a lot) of hairspray to tame it. After my mom shipped me a whole box of fabric left over from her quilting projects, I couldn’t wait to make something I could use right away. I had seen some of these fabric headbands on Etsy but couldn’t bring myself to buy something I knew I could make…this little headband is what came from my fabric excitement. Start by cutting out the headband template from both pieces of fabric. Where the template says “FOLD” marks the middle of the headband. Trace one half and flip the template over and trace the other half to make one long piece. Place one piece of fabric on top of the other (with wrong sides together) and pin all the way around leaving about 2” on either end unpinned. Make sure you line up your edges well because once you’re done, your headband will be reversible. 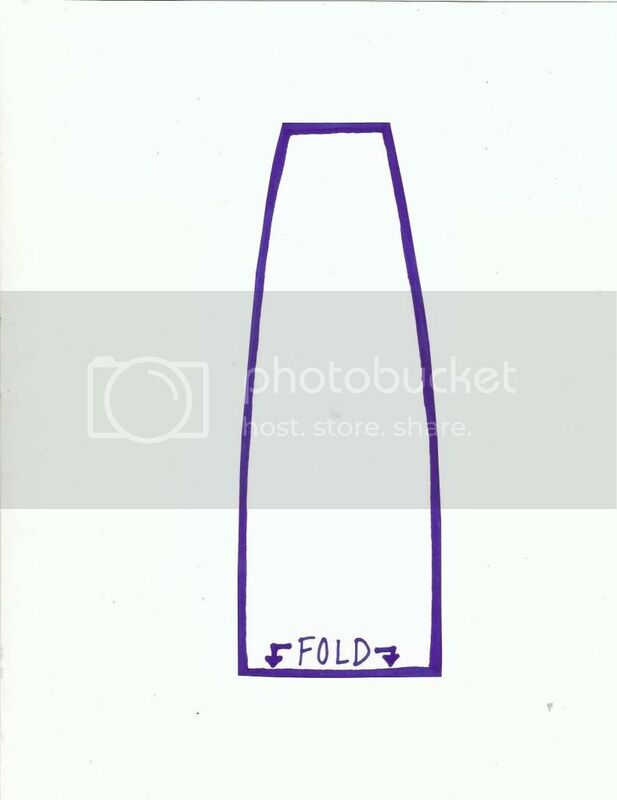 Fold the ends of the top and bottom fabric in about ½” and press. Cut a piece of elastic ribbon about 4” long and sandwich the end between your two fabrics. Pin together. Now you’re ready to sew! I started sewing on the long side end away from the end with the elastic. I sewed about 1/8” away from the edge, pivoting when I had to make a turn. I finished sewing on the short end that didn’t start with the elastic sandwiched between it. I hope anyone with crazy hair like mine finds this tutorial helpful in “taming the wild beast”… Or if you have wonderful hair that always does what you want, this headband is not only functional, but it’s cute and adds a little something extra to any outfit. Your lines are very neat and clean, did you back stitch? I just made one...which is waaaaaaaaaaaay to small (I used regular elastic instead of elastic ribbon...and maybe tucked too much inside). My lines aren't as clean as yours partly because I'm new at this and partly, I think, because of messy back stitching. This is so awesome! I just pinned for a future project! Thank you so much!